[dropcaps]O[/dropcaps]n New Year’s Eve, my good friend Jenny Marrs shot me a text: did I want to sign up for an upcoming six week writing workshop hosted by another friend, the fabulous Lela Davidson? Within the hour, we were registered. As a hint to others who may want to twist my arm, it’s very easy to get me to do things a) at the beginning of a new month b) at the start of a new school year and c) at the shift into a new year. There’s nothing I love like a fresh start and a blank page. The day before the first session, Lela and I were gabbing over coffee in what I like to think of as our occasional two person support group, and I asked her what to expect the next morning when I arrived at her house with a new notebook (yes, paper! ), a pen and the giddiness of a school girl. Perfect. 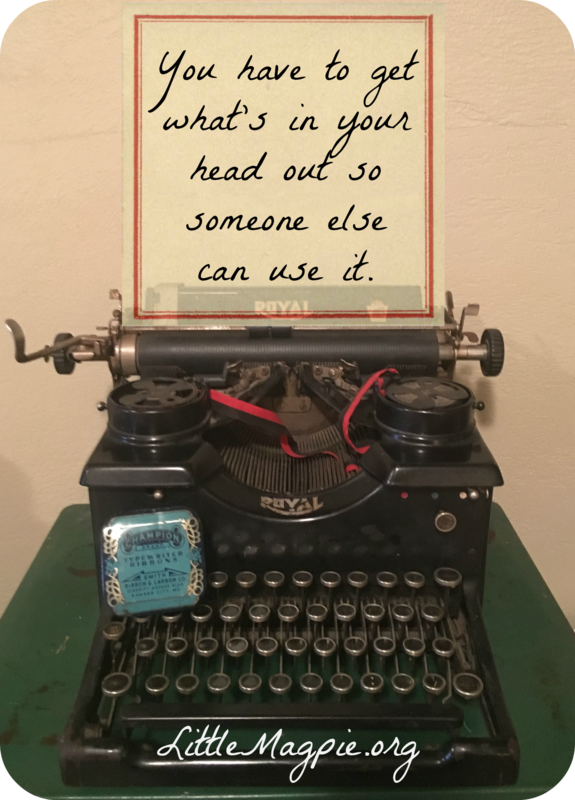 That’s exactly what I was seeking – accountability and space carved out to just write. Several of the premises and promises of the Second Story Writer’s Workshop were also intriguing to me. For example, we’d treat everything as fiction. This almost kept me from enrolling, because I have a mental trunk full of real life, stranger than fiction stories from my childhood in Jamaica, Suriname and beyond that I am trying to tackle. A road block I encounter often is the sense that someone in my family or someone present in the time and place I’m depicting will call out an error, an inaccuracy or something I’ve conveyed incorrectly. More off-hand wisdom from Lela. But as usual, Lela’s feedback (she is an excellent teacher) was spot on: these stories are mine to tell, and my version of them (even if I’m fuzzy on a detail) can be my fiction. I need to share them as they looked and felt and sounded for me. This is a simple but incredibly freeing fact. I gained an intriguing, diverse, supportive group of writer friends. Fuzzy photo (shamelessly stolen from Stephenie), warm & fuzzy feelings. Most I knew before the first session when we pulled our chairs together in that cozy room for the first time, but I met a few fresh faces and got to know others a bit better. Six weeks later, these eight women have shaped my tone, helped me hone my voice and given me incredible tips, warm suggestions, candid feedback and much laughter. You guys. Here’s how I judge the caliber of an evening: on a scale of 1 to 10, how badly does my face hurt from laughing? Tonight was a 10. On a related note, Stephenie said something interesting about friends: I’m not going to read too much into it, but I think I know where she’s coming from. A couple of years ago, I took stock of my circle of friends. I ran them through the laundry, wrung them out to dry, laid them out all out on the line, and realized that some were in need of mending. Some were in need of new homes. I kept just the ones who fit me and made me feel my best, and I let many find new homes. I haven’t looked back. 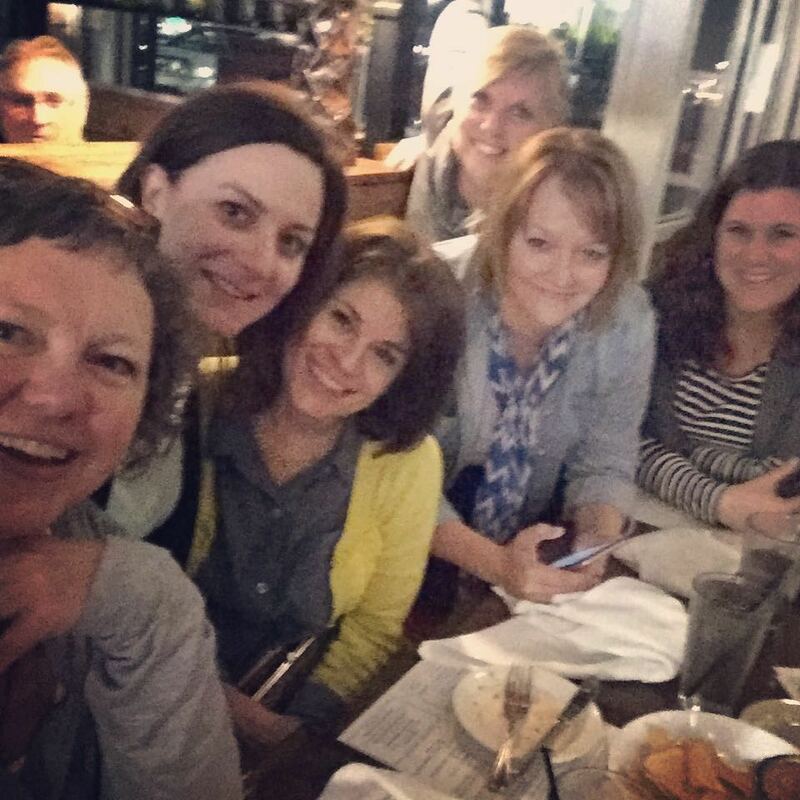 I’m a huge fan of these circles of friends who meet to do a common thing over the course of years and life changes (see: Shauna Niequist). At risk of sounding sappy – I realized tonight that y’all may be that group. 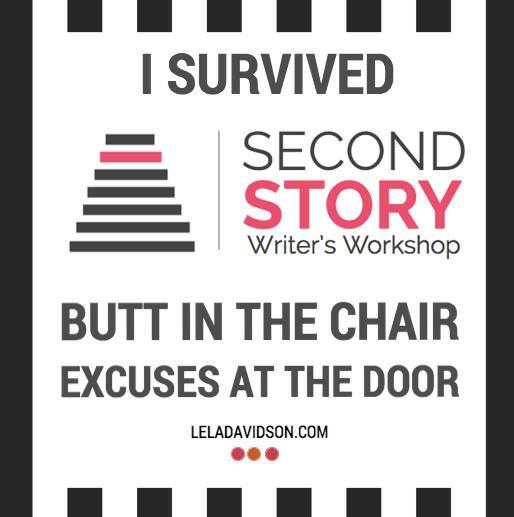 In case the moral of the story is unclear, you need to sign up for Lela’s next workshop if you’re local and have even an inkling of desire to write. She will get you pointed in the right direction. If you’re not local, her blog is not lacking in savvy tips and life lessons. Just head over there to visit and she’ll take charge (like she does). If you don’t have access to Lela, I have to encourage you to find other writers and convene. There’s something fantastic about people with a common purpose coming together. You’ll be better for it. Yes! I feel very much like an insider with the knowledge of what everyone is working on – so fun! Wow. Simply wow. I always thought that Lela was destined for greatness… sounds like she is already rising up on that path beyond what I realized over our laid-back lunch dates together! Oh, she’s some kind of awesome. As a friend, I’ve always kept tabs on her… but it was super cool to see her in her element! Highly recommend – you should definitely jump in next time, you’d love it! I was so pleased to see a mix of familiar and new faces in that room the first day! We have some good chemistry as a group. I love that. So loved getting to spend six weeks of writing time with YOU!